Weekly Theme 29: Celebrating Global Entrepreneurship Week! It is Global Entrepreneurship Week and entrepreneurs from around the globe have been sharing their advice on how they are taking a step forward with their businesses. We have been inspired by all their amazing stories and so the topic for this week’s blog is TAKING A STEP FORWARD. We are having a look at some of the different ways people are driving their businesses forward. We hope that they will inspire you too! The students at DAV School, Pushpanjali in India are taking the next step in their business by selling their products at a school stall. 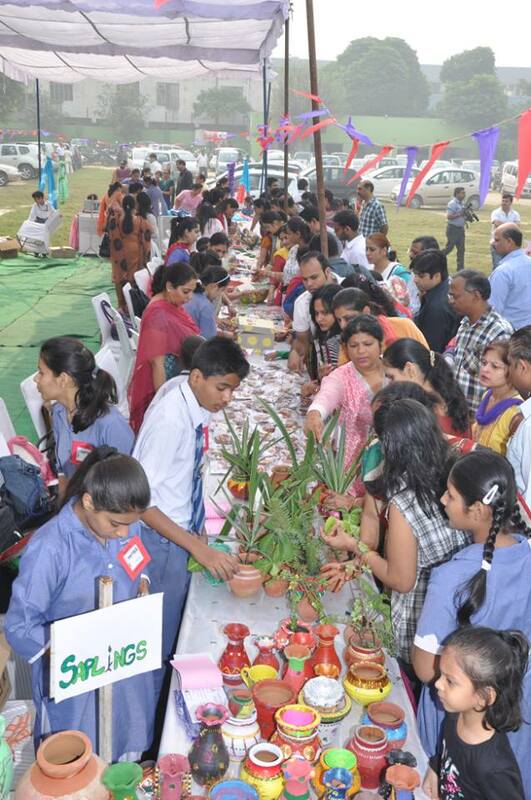 They have invited teachers and parents to visit and their diverse range of products have even captured the attention of the local newspaper and a representative from the Ministry of Environment! Promoting your school enterprise is a great way of increasing your profits and making your business a real success! You can read their brilliant blog to find out more! 2. 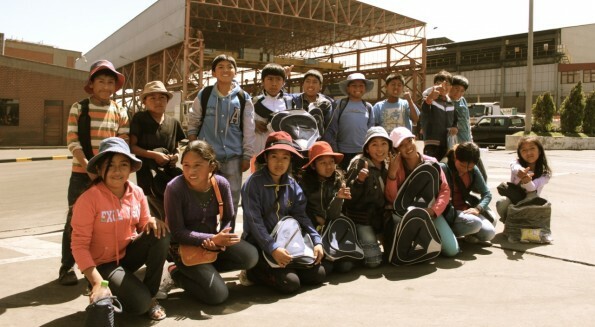 Students at the Escuela Concertada Solaris in Peru are ‘taking a step forward’ by visiting local companies and learning more about how people run their businesses. By educating themselves about different industries these clever students are building on their entrepreneurial skills! You can read more about their school enterprise on their great blog! 3. 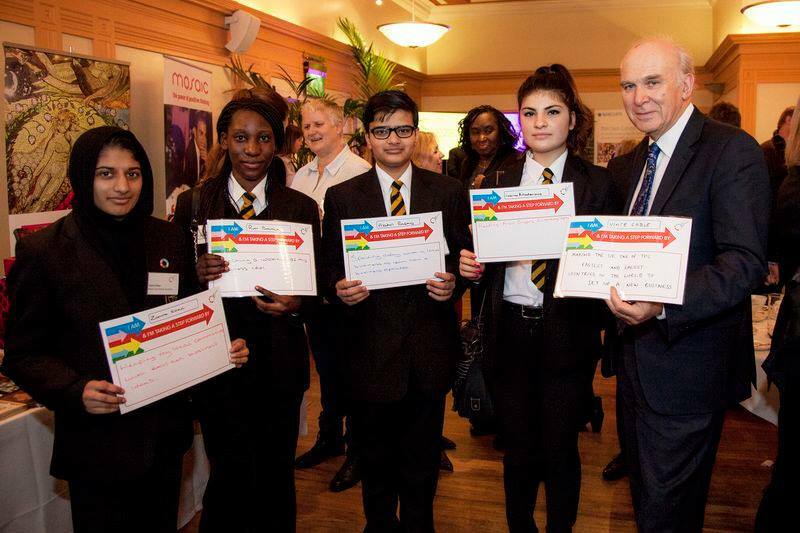 Vince Cable, a UK politician, and some British students sharing how they are moving forwards as entrepreneurs. 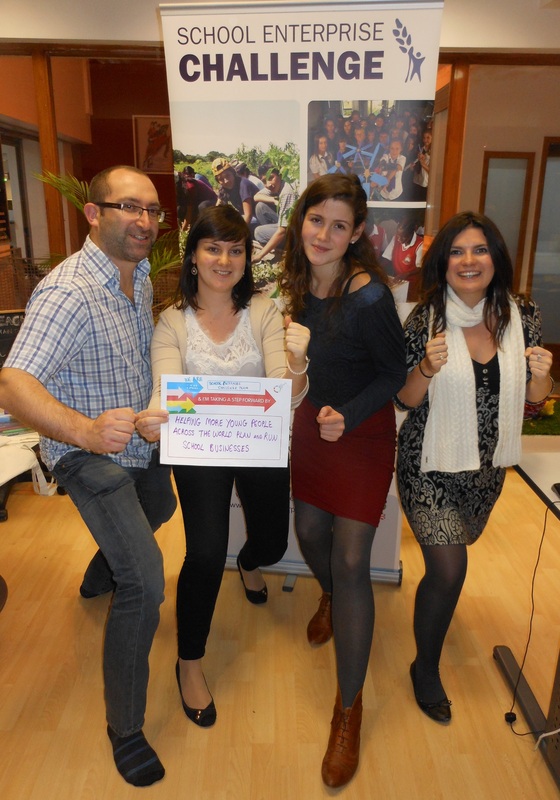 They are all ‘taking a step forward’ by participating in Global Entrepreneurship Week! Sharing knowledge and skills with other entrepreneurs is a brilliant way of making international connections and helping your business grow. 4. The ‘Roots Green Movement’ in Uganda recently took a big step forward for their business by building the bio dome needed for their school enterprise. Setting up the infrastructure is an important step forward for any young business. Have a look at their blog to find out more about their business! 5. The School En terprise Challenge Team is taking a step forward by helping more young people across the world plan and run school businesses. This year we are very excited to have received a record breaking number of business plans from all around the globe! Get involved too! What are you doing? We know that many of you are very busy running your school enterprises and we would love to hear about what you are doing as you take the next steps forward with your businesses! Why not download this hold-up poster and let us know. Simply write down what you are doing to ‘take a step forward’ and then take a photograph of you holding it up. We would really like to share them on our social media sites too! 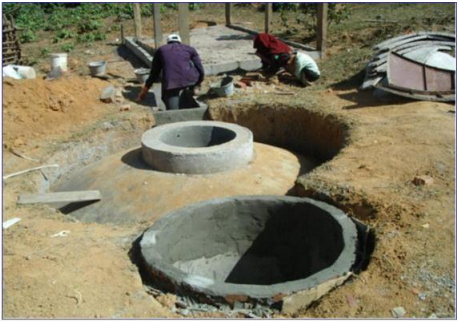 This entry was posted in Uncategorized on November 20, 2013 by School Enterprise Challenge. Weekly Theme 28: Photo Competition 2 – WIN a Goody Bag! Do you like using your imagination? Do you enjoy competing in a challenge? Would you like to WIN one of our awesome Goody Bags?! If you answered YES then read on…! We asked some of the School Enterprise Challenge team to help out by producing an example photo. Below is a picture of Sam selling Lindsey one of his products and a caption explaining what he likes most about running a business. We like Sam’s photo because it clearly demonstrates his business and what he likes most about it; the photo is in focus and the caption explains the photo very well. 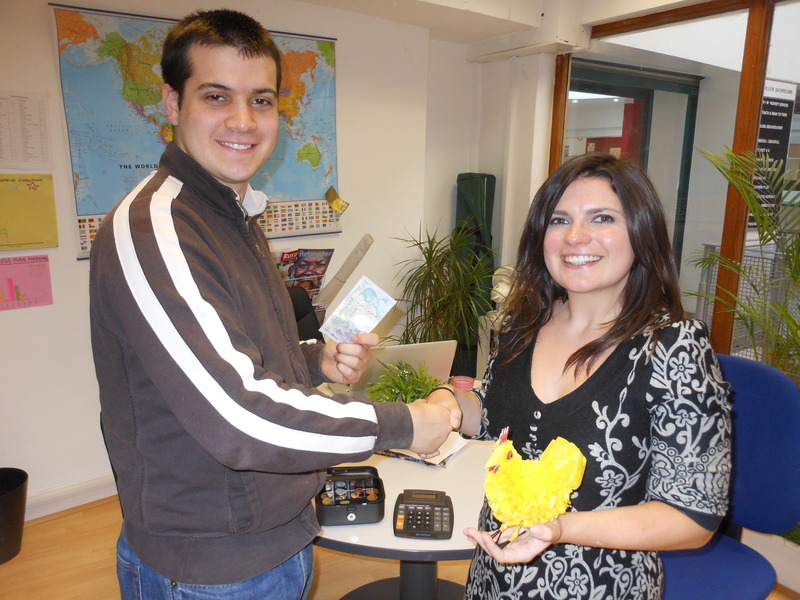 We can see Sam’s excellent sales skills – his customer looks happy with her purchase and Sam’s made some money! So now it’s YOUR turn! 1. Think of what you like most about running your school business. 2. Write this down (in no more than 50 words) – this will be your photo caption. 3. Take a photo to match your caption! It could be simple, detailed or funny – just try to make it as creative as possible! 4. 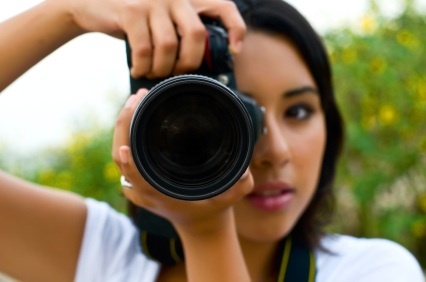 Email your photo and the caption to info@schoolenterprisechallenge.org by the deadline: Friday, 29th of November. We will post all your entries in a special album on the School Enterprise Challenge Facebook page. All submissions will be judged on both the photo and the caption according to our internal criteria. The three lucky winners will receive an awesome Goody Bag filled with School Enterprise Challenge stickers, pens, USB and notepads! Check them out! So what are you waiting for? Grab your camera and your team mates and get started! We look forward to seeing your entries! This entry was posted in Uncategorized on November 17, 2013 by School Enterprise Challenge.